Already the last race of the European season. So the team took the opportunity to make some extra runs during the Pro Peak Performance Day on Wednesday. Danny's first run was a nice 5,92 sec. There were some troubles with the chutes as they entangled, so we knew that the chute-problem was still not resolved. During the second pass, Danny's car hit shake immediately after the start and he had to shut off. We were already in the line-up for a third run as the rain came down and they called it a day. On Thursday we had a lazy day. While the sportsman were running we signed in and checked the car. Friday morning was very wet. It kept on raining till 12:00 and the crew had to work hard to get the track dry. Finally at around 17:00 our first qualifying round could start. Danny hit shake and went to the centerline and had to shut off to avoid crossing lanes. That was not the way to take a good qualifying position. There was no time for a second round on Friday so we had to wait another day. During the second qualifying run on Saturday, Danny made a nice run, 0,96 to sixty feet and put a 5,79 on the boards. Well done and straight in the number 1 spot. After towing the car back into the pit, the team discovered 7 broken rods. We had no spare with us and after asking some other teams, it was clear that no one at Santa Pod could help us. Danny had some rods at home and so we started to figger out how we could get them to the Pod. After some phone calls we found a friend of the team, Gaetan ready to bring the rods across the Channel Tunnel to Folkestown. Gino and Christiano went to meet him there and arrived back with the spare rods on Saturday night around 23:00 in Santa Pod. Again lots of thanks to Gaetan. The team worked till 3:00 that night and got the car ready to race again. On Sunday Danny made a quick appearance at the top qualifiers presentation and back in the pit the car was fired up. We noticed some oil spill at the exhaust, so the team decided to change some piston rings, ... finally the car was ready for elimination. Danny had a bye in the first round, but was planning an improvement of the 5,79 from Saturday. Immediately after the start Danny hit shake and had wheel spin. He had to shut off. A thoroughly service of the car and up to the semi-final against Dan Larsen. Danny took a red light and handed the win to Dan, who ran a 5,82. At that point Dan was sure of taking the European Championship title. Many congratulations to him and his team, and also for winning the event. We are looking back at a season with lots of downs. We had two broken engines and a lot of other damaged parts. We are glad that we could end the season with a ray of hope for next year. 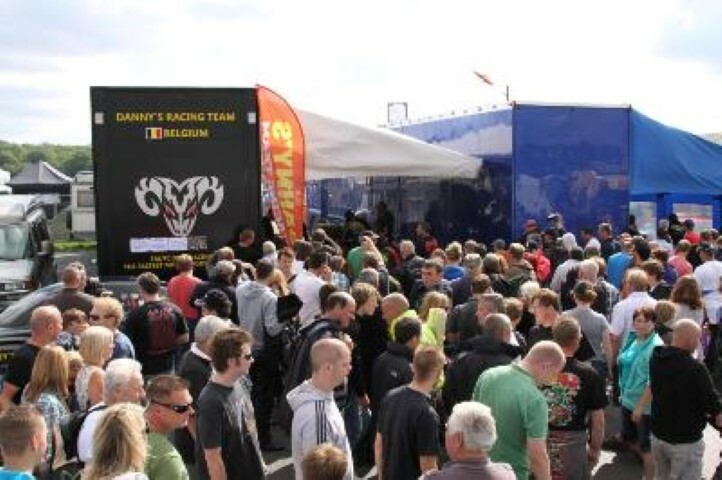 We want to thank our sponsors Speedshop Belgium, Marcover, Rico Tools Belgium, Iso-Mobile, Capricorn and " De Klussenier" Nico Van Uytven further also BSCA Streetcruisers INT and Technische School Mechelen for their support. 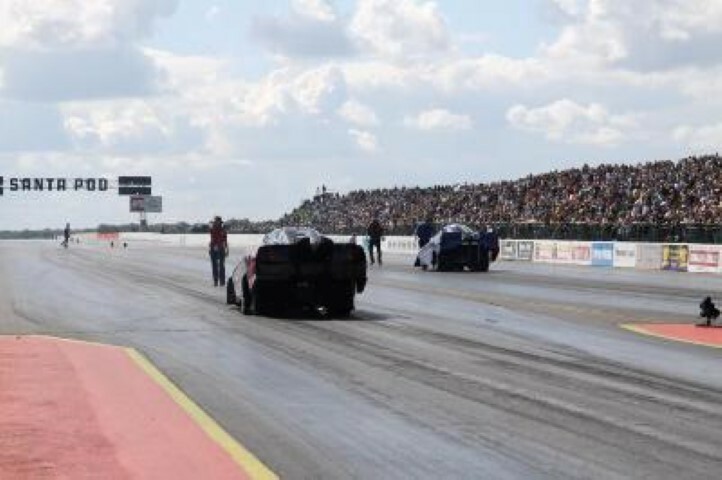 The weekend of 25-26 September we are taking the Top Methanol Funny Car to the track in Brustem to make some demo runs at the Full Throttle Internationals. We hope to see you all there. Also we would like to welcome everyone at our BBQ and Support Party on the 8th of October. See you next year! !